Eleven lawyers from Corboy & Demetrio have been designated 2011 Illinois Super Lawyers. Limited to the top 5% of all Illinois attorneys, Super Lawyers are chosen by their peers and through the independent research of Law & Politics magazine. Partners David R. Barry, Jr.., Robert J. Bingle, Barry R. Chafetz, Philip H. Corboy, Jr., Michael K. Demetrio, Thomas A. Demetrio, Shawn S. Kasserman, Daniel M. Kotin,Francis Patrick Murphy, Susan J. Schwartz and Rene A. Torrado, Jr.. were named to the Illinois Super Lawyer list. Attorneys Thomas A. Demetrio, Philip Harnett Corboy, Jr., and Michael K. Demetrio, were recognized as three of the top 100 attorneys in Illinois. Thomas A. Demetrio, once again, was named in the Top Ten of all the 80,000 plus Illinois Lawyers. 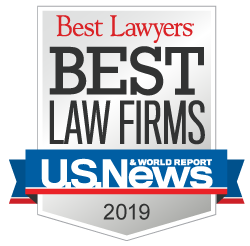 Corboy & Demetrio has the distinction of having the highest number of attorneys of any law firm in the top 100 category. In addition, Attorney Susan J. Schwartz was listed in the top 50 Illinois Women Super Lawyers. Associates William T. Gibbs, Daniel S. Kirschner and Michelle M. Kohut were named to the Illinois Rising Stars Super Lawyers list. No other Illinois Plaintiff’s Trial Firm has more Super Lawyers and Rising Stars than Corboy & Demetrio.